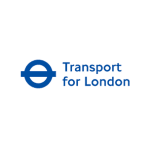 Transport for London (TfL) is the local government organisation responsible for most aspects of London’s transport system. One of the ways in which travellers can pay for their journeys on this system is by purchasing an Oyster card, a contactless smart card system introduced for public use in 2003, which can be used to pay individual fares (pay as you go) or to carry various Travelcards and other passes. Shortly after the introduction of Oyster, there was rising demand from customers for Oyster on services operated by London based train operating companies (TOCs). Progress on this was slow, partly because the TOCs felt unable to participate due to the rights vested in their franchise contracts. In 2006, TfL struck a deal to solve this and between 2006 and 2009 they negotiated with all nine London TOCs to agree the acceptance of Oyster. Ballard Chalmers resources helped TfL build the Revenue Apportionment Engine, which made the partnerships between the different TOCs work, as well as giving travellers a seamless payment system integrated across the different operators. Back in 2009, TfL had calculated that in-house development would be most cost and time effective, but their own resources could not take on all the extra workload. At the time TfL Project Manager Jayne Davidson said, “We had the necessary in-house expertise to develop the Revenue Apportionment Engine. But we could not take all of our specialists off the existing projects, so we decided to bring in a highly proficient contractor to work alongside our development team.” That highly proficient contractor was Ballard Chalmers. The Future Ticketing Programme arose out of an analysis of emerging technologies and the work on the cost of revenue collection. A TfL study in 2006 had identified the customer payment alternatives that might become available by 2015, of which contactless payment cards was one. The cost of revenue collection shone a light on the cost of ticket selling, a process that could be radically changed with the acceptance of a payment product issued by the wider payments Industry. Revenue Apportionment Engine for the TOCs when a journey is part TfL and part Overground. A huge matrix and state machine-based calculation engine that covers all possible fares for all routes and calculates server side how much the customer should be charged for each journey. Provision for payments from credit and debit cards. These are queued and processed asynchronously, using SQL Server Service Broker, as the banks cannot deal with the speed of contactless card swipes at gates. SQL Server PDW (Parallel Data Warehouse) database for analysing trends in the large volumes of data involved. The data volumes are huge with millions of card swipes per day and billions of records in the databases. The new Oyster Online website, which will provide a range of additional functionality such as enhanced sales capability; refunds directly to the customer’s card or bank account, (radically simplifying the refunds process); change ticket validity online to increase or decrease zones; and manage lost or stolen cards online. The development process is AGILE. Test Driven Development (TDD) is a central part of the process and there are a huge number of automated tests that test all aspects of the system. There are so many tests that it takes many days to run the full set and so the automated build deploys to multiple servers and runs different test sets on each and consolidates the results at the end. The full system is built and tested each night as follows: Create multiple new virtual machines in VMware; build and deploy the software to them the included databases; run all test scripts and then present the VMs to the test team for further analysis the next morning. The number of journeys made using Oyster on National Rail increased sharply in the first few weeks after the January 2010 launch and has continued to grow steadily since. Studies undertaken by the Massachusetts Institute of Technology demonstrated that accepting PAYG has directly increased train operating companies’ revenues by 6 per cent in London, or by more than £100m per year. According to TfL, Oyster is now the principal travel ticket in London. As of February 2014, 87 per cent of journeys on TfL’s services were made using Oyster, equating to 12.7 million taps per day. Oyster is cited by TfL as “the world’s most successful smartcard ticketing system” and the upgrade of the Oyster card system has reduced the cost of revenue collection by more than one third and has been central to improving customer service and customer satisfaction. Additionally, in the twelve months after launch on 16th September 2014 over 180 million contactless journeys were made using contactless payment cards and devices. Contactless payments now account for 20 per cent of all pay as you go journeys. Advances in technology and the rising expectations of TfL customers continue to drive many changes in the payment area. As a TfL partner Ballard Chalmers continues to work alongside them in making this happen. © Future Decoded 2014. All Rights Reserved. Used with permission.